BVCA on Tour continues its tour in Paris to explore local entrepreneurs and the ecosystem players in France. Together with the European Commission in Bulgaria, the Bulgarian Private Equity & Venture Capital Association (BVCA) welcomed French-based entrepreneurs, professionals, investors and ecosystem players in The Family, to explore business opportunities between Bulgaria and France. The event served as a platform to showcase some of the successful companies and start-ups from Bulgaria, as well as to give light to the investment opportunities through venture capital, private equity and #InvestEU led initiatives. There is a thriving French community in Bulgaria, part of which flew to Paris to join the event. Xavier Marcenac, Co-founder of Nasekomo and Board Member of TELUS International Europe, was one of the panellists at BVCA on Tour. He is a successful French entrepreneur who lives in Bulgaria for more than 20 years. In the country, he co-founded the company CallPoint New Europe, which was acquired by the giant TELUS International in 2012. He recently co-founded the start-up Nasekomo — converting organic food waste into insect biomass — which received the prestigious award by Chivas Ventures. Paul Guillemin, a French entrepreneur with offices both in Bulgaria and France, was also among the speakers. He shed to FretLink, the company he founded and grew, and explained why he decided to expand its activity in Sofia. Paul accentuated on the importance of funding and support he received from French-based funds and incubators. We also met Bulgarian entrepreneurs based in Paris, such as Yordan Tabakov, who started WizziLab – Internet of Things services for network installation – and graduated from the prestigious École Polytechnique in France. Currently, Yordan works with both Bulgaria and France, while living in Paris. Katya Laine was another speaker – a Bulgarian entrepreneur in Paris, developing Chatbots in Kwalys. Plamen Tzanev – another panellist – is the founder of Pulsio Print. He has an extensive professional experience from France which led to working mainly with French clients, while based in Bulgaria. Pulsio Print received venture capital funding from BlackPeak Capital to scale its business and introduce new innovative products. The French ecosystem in Bulgaria had also other representatives – French Tech Sofia actively gathers the French community in the capital and has representatives who are business professionals, investors and entrepreneurs, among others. 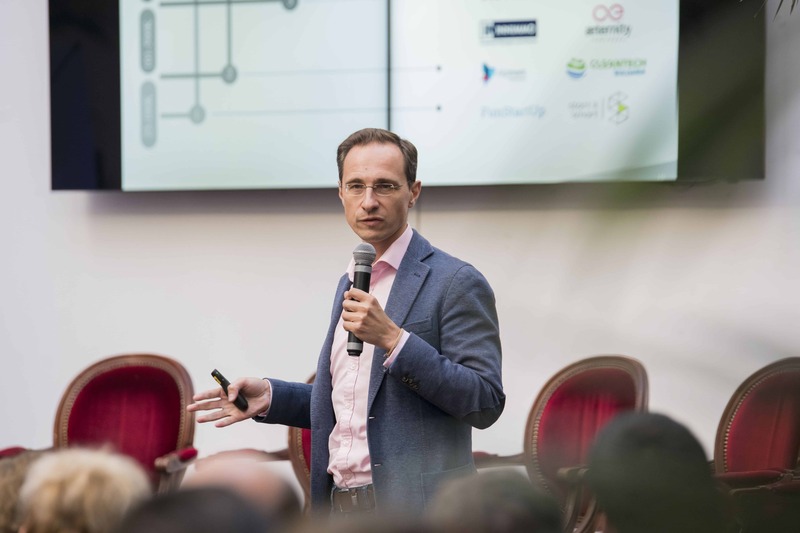 Wilfried Durand, one of the active members there and a participant at BVCA on Tour Paris, retorld the story of French Tech Sofia and the opportunities in Bulgaria in a recent article. Also, the French TV media TF1 launched a fair and positive overview of the Bulgarian ecosystem and why many French citizens choose to start their business here or simply move to Sofia. In addition to the entrepreneurship panel, there was a presentation about the Bulgarian ecosystem by Evgeny Angelov, BVCA Chairman and Partner at PostScriptum Ventures, a welcome address by Ognian Zlatev, Head of Representation of the European Commission in Bulgaria, and Isabelle Jégouzo, Head of Representation of the European Commission in Paris. The second panel discussion was attended by BVCA members, BlackPeak Capital, LAUNCHub Ventures, PostScriptum Ventures, NEVEQ Capital Partners and Fund of Funds Bulgaria, with special guests – Lubomira Rochet from Founders Factory and Chief Digital Officer at L’Oreal, and Pietro Invernizzi from the French incubator – The Family. BVCA started the initiative last year, hosting events in Vienna and London. The following tours – in Berlin and Paris – were in partnership with the European Commission in Bulgaria. The partnership was very instrumental in giving light into the #InvestEU campaign and the ecosystem development in Bulgaria with the help of EU financial instruments and the close work between the European Investment Fund as an arms length LP investor for the local community. Next stop for BVCA is Amsterdam in the fall. Read more about the event in the media.